An innovative, slimline flush bolt that seamlessly integrates with our most popular drop seal - LAS8001 si. The flush bolt is a security device to be used on pairs of doors to secure the inactive leaf. It is activated by a discreet Lorient branded lever, that drops the bolt into a sleek keep in the floor. 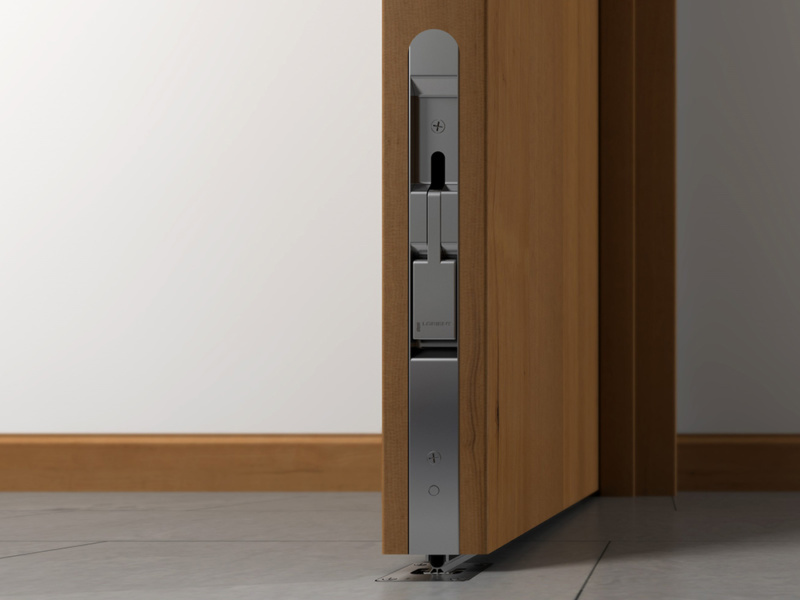 Specifically designed for use with our rebated high performance drop seal; together they provide the ultimate system combining security, with acoustic, smoke & energy containment at the bottom of the door. View the LAS9010 Flush Bolt + Drop Seal animation.